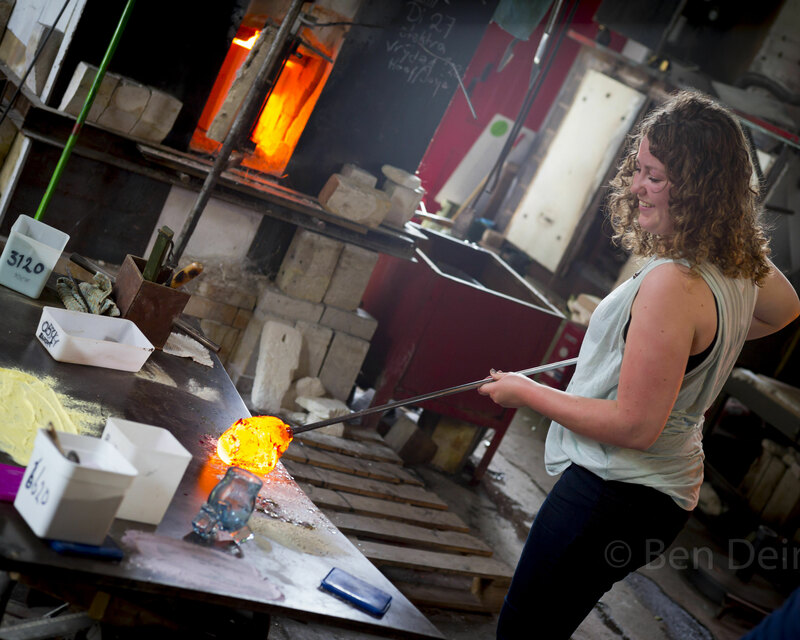 Rosa Cornelissen started glassblowing in 2014 at the age of twenty-one. At first she followed an studie at the Royal art Academy of Fine Arts, the Hague. She wanted to do an internship. The choice was made between glassblowing and lacemaking. It was a simple decision because her parents live in Leerdam, the glass capital of the Netherlands. Rosa started her internship at de Oude Horn, where Bernard Heesen is making his glass art. Benard Heesen learned her the basics of glassblowing and during this internship she discovered her passion for turning glass into art. Present-day Rosa is still learning the complicated but wonderful craft of glassblowing. More exhibitions are soon coming your way, check out the website for more information. If you are interested you can see the exhibitions and selling points below. Feel free to send her an email!